Star2Star Communications, developers of the World’s Leading Hybrid Cloud Communications Solution, announced today that the company’s StarSystem® platform was named as a 2016 TMC Labs Innovation Award winner for Unified Communications. This is the third consecutive win for Star2Star. 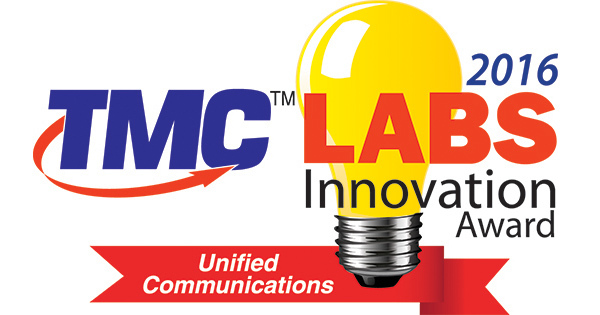 The TMC Labs Innovation Award honors products that have demonstrated innovation, unique features, and noteworthy developments toward improving communications technology. “We feel this third award is thanks in large part to our team’s early vision in developing the first truly hybrid cloud communication platform that focused on providing scalability, quality and reliability not available elsewhere in the industry,” said David Portnowitz, VP of Marketing for Star2Star. “In August, we released three new models of our flagship StarBox® Cloud Communications Manager to further scale this capability, and we have many more product innovations coming very soon,” he added. Star2Star unifies customers’ voice, video, fax, instant messaging and presence management into a single, easy-to-use system. The company has the highest long-term customer retention rate in the industry at 99.85% and has been recently recognized by numerous leading analysts.